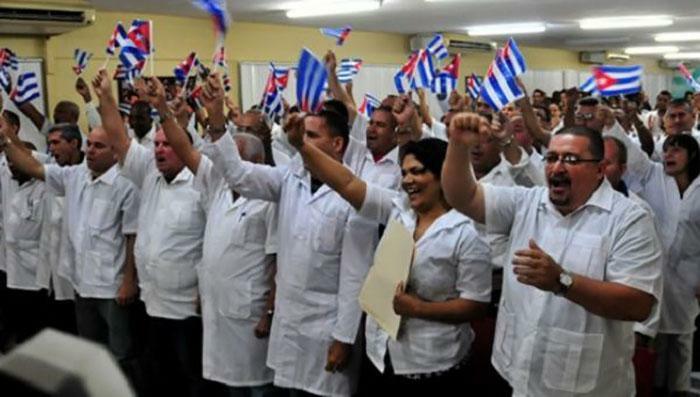 Communist Party of South Africa honors Cuban doctors. Posted by cubainsidetheworld in Communist Party of South Africa, Cuba - South Africa - Relation., Cuba- Science & Health, Cuban doctors. The Communist Party of South Africa presented a special award to Cuban doctors for their continuous humanitarian and solidarity work around the world, above all in the struggle against Ebola in West Africa.